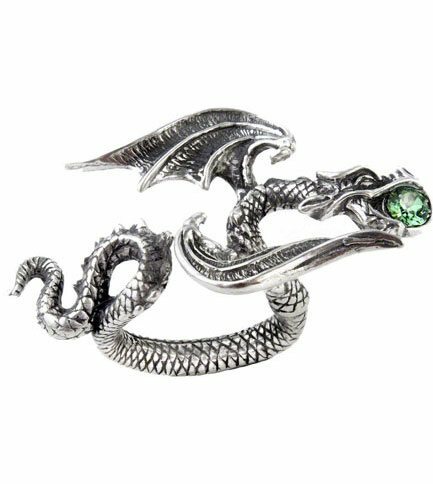 Floating dragon carrying a green gem in his mouth made of fine English pewter and Swarovski crystal. Middle finger ring in 2 sizes. 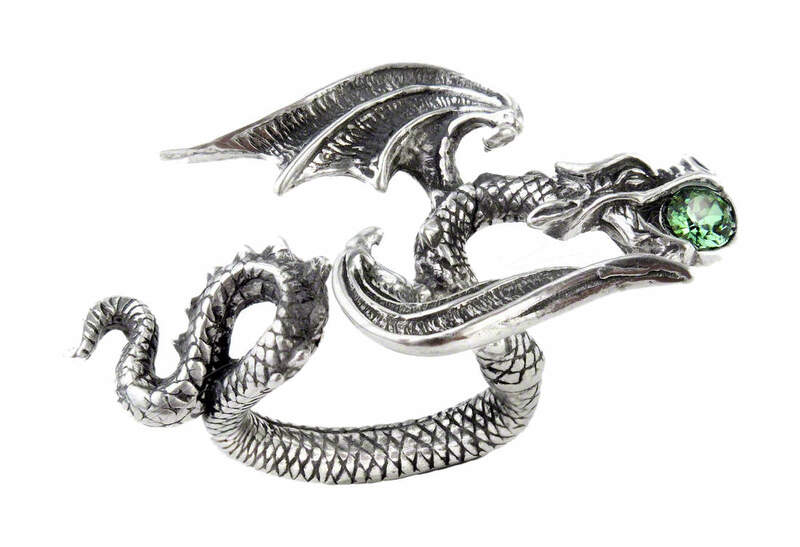 Measures approximately 2.09 inches wide, 1.22 inches high and 1.10 inches deep. By Gothic Alchemy.